Graham Dorrans insists he has no qualms about the timing of his move to Rangers after he became Pedro Caixinha’s ninth summer signing. The 30-year-old Scotland international midfielder fulfilled a lifelong ambition after passing a medical and penning a three-year contract at the club he supported as a boy. Dorrans completed his move from Norwich City, for a fee in the region of £1 million, in an inauspicious week for Rangers in which sthey suffered the worst result in their history when they crashed out of the Europa League to Progres Niederkorn in Luxembourg. 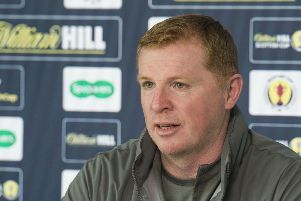 But nothing could dampen the enthusiasm of the former Livingston and West Bromwich Albion player as he set his sights on helping manager Caixinha’s bid to mount a more competitive challenge for domestic trophies in the new season. “I don’t think there is ever a wrong time to come to a football club like this,” said Dorrans. “The size of this football club is incredible – I’ve obviously had great times down in England, especially at West Brom, but growing up, I knew I always wanted to come to this football club and when the chance came around I jumped at it. “It’s no secret I grew up a Rangers fan. I grew up watching successful teams – people like [Jorg] Albertz, [Brian] Laudrup, [Paul] Gascoigne and even people like Barry Ferguson – good footballers – and watching teams like that was the buzz I got when I was younger. It was great to come and see that. “I always wanted to come here, so when the chance came around, I was straight on the phone to my agent to try and get things sorted. It has been a long couple of weeks but to finally get it over the line is an incredible feeling and I just can’t wait to get the boots on and get started. “I want to come in and help the youngsters and I like to think I can bring a bit of experience having played at a high level for the last ten years now. “I am confident we have a good enough squad to compete. Hopefully I can come in and help the team, help the young boys develop and help the club get back to where it belongs. “The manager has been great too. I will play where he wants me to play; I am just excited to come in here. I have been chatting to him for the last week or so, and he has been the driving force behind the move. I am looking forward to coming in and working with him. “I can’t wait to start; it is something I have always dreamed of since I was a kid so I am looking forward to getting into training and getting the boots on. Once that day comes to run out at Ibrox it will be great. Dorrans is looking forward to teaming up with Rangers captain Lee Wallace and striker Kenny Miller, both close friends, at his new workplace. “Both Lee and Kenny have been a big driving force behind pushing to get me in here,” he added. “I have been speaking to them both regularly on the phone and they have been speaking to the manager as well, they have been great. We have a good squad, we are adding some good quality players so hopefully we can push on. Dorrans won the most recent of his 12 Scotland caps two years ago, in the 6-0 win over Gibraltar at the end of the Euro 2016 qualifying campaign, but admits forcing his way back into Gordon Strachan’s squad is a secondary at the moment. “I haven’t thought about Scotland, my mind is set on coming here, doing well, getting into the team and playing some games,” he said.